Black Americans for a Better Future (BAFBF) is the first and only 527 Super PAC established to get more Blacks involved in the Republican Party. The PAC focuses specifically on the Black entrepreneur. According to the Federal Election Committee (FEC) filings this year, all of the $417,250 in monetary donations to Black Americans for a Better Future comes from conservative white businessmen — including 96 percent of the total from white billionaire hedge fund manager Robert Mercer. Mercer, co-CEO of Renaissance Technologies on Long Island, is best-known politically for donating money to a Super PAC backing Ted Cruz’s presidential run. As of its current FEC filings Black Americans for a Better Future has spent a total of $172,424.69, including $38,983.45 in net salary payments for the last five months of 2015 to Raynard Jackson, a black Republican political consultant listed as the Founder and Chairman of the organization. Together with $26,952.55 disbursed for payroll taxes, Jackson is receiving an annual salary of $155,000. Raynard Jackson writes political commentary for a variety of media outlets including this website. Jackson’s consultant company is Raynard Jackson & Associates, LLC based in Washington, D.C. The firm’s website is: www.raynardjackson.com. Click here to read the post by Jon Schwarz of The Intercept.com revealing the entire list of donor to Black Americans for a Better Future. 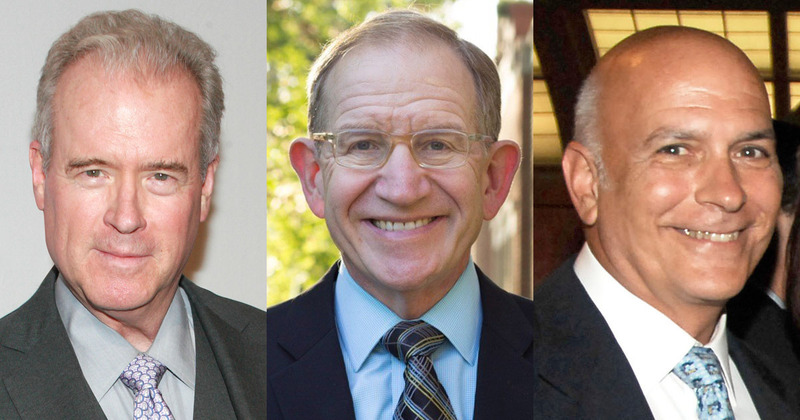 (From left to right) Robert Mercer, Vincent Kolber, and Marc Stanley Goldman. Click here to visit the official Black Americans for a Better Future website. Hey Buddy!, I found this information for you: "Black Americans for a Better Future Super PAC 100% Funded by Rich White Guys". Here is the website link: https://blackmeninamerica.com/black-americans-for-a-better-future-super-pac-100-funded-by-rich-white-guys/. Thank you.